The tactical operation was India’s response to the terror attack by Pakistan-sponsored terrorists at an Army base in Uri, in which 18 jawans had been martyred. New Delhi: Despite the undeniable video proofs of the 2016 surgical strikes released by the Indian government, Pakistan on Thursday once again rejected the counter-terror operation carried out by the Indian Army as a “figment of Indian imagination”, saying that there was no such event. 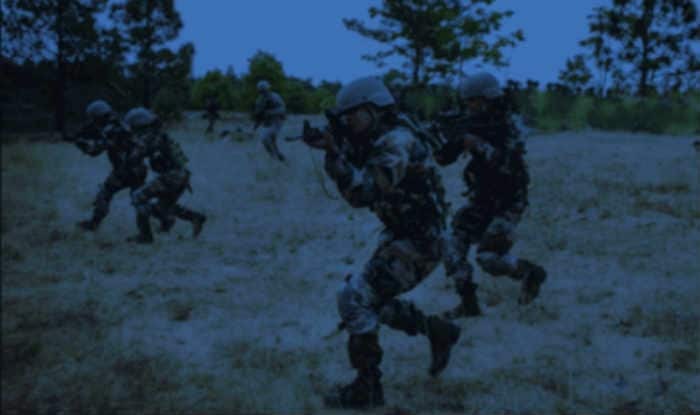 On the intervening night of September 28 and 29, 2016, Army’s Para-Special Forces had carried out surgical strikes in Pakistan-occupied Kashmir, destroying 6-7 terror launch pads and killing several terrorists. Pakistan Foreign Office spokesperson Mohammad Faisal said this at his weekly briefing when asked about the assertions made by Prime Minister Narendra Modi about the surgical strikes in an interview on the New Year. “There was no such event. It is a figment of Indian imagination. The Indian media is itself doubting the claims of their government,” he said. 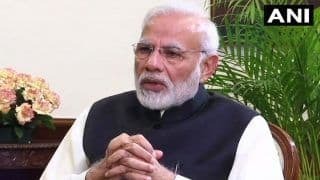 In an interview on Tuesday, PM Modi asserted that it would be a “big mistake” to think that Pakistan will mend its ways after just “one war”, referring to the 2016 surgical strike. “Pakistan will never improve on the basis of one war. That nation will still take some time to improve. But, can we hear anything in the midst of bombs? Today, terror supporting Pakistan is isolated,” PM Modi quoted as saying in tweets by the PMO. He also said all PMs of India, across all parties never opposed dialogue with Pakistan, but clarified that terror and talks cannot go hand-in-hand. “But, can we hear anything in the midst of bombs? Today, terror supporting Pakistan is isolated,” PM Modi said. On a dialogue between India and Pakistan, Faisal said that Islamabad wanted a dialogue with India but New Delhi was shying away. “If India shies away from dialogue, we cannot do much. It takes two to tango. Our position on the matter is clear,” he said, adding that a letter by Prime Minister Imran Khan, written to his Indian counterpart on September 14, clearly laid down Pakistan’s policy. “Obviously we would like to discuss the dispute of Jammu and Kashmir, first and foremost, in addition to all other matters. We, unlike India do not shy away from having a dialogue for resolution of all outstanding issues between the two countries,” he said. Faisal also said that Pakistan’s desire for peace must not be misconstrued as its “weakness”. Condemning the alleged violation of the Line of Control by Indian drones, he said Pakistan was vigilant and responded effectively to these threats. “Any misadventure by India would be responded in a befitting manner,” he said. Last month, in an apparent admission to the surgical strikes carried out in PoK, Pakistan Railways Minister and Prime Minister Imran Khan’s close aide Sheikh Rashid’s had said that PM Modi could order a similar attack for “political gains” ahead of the 2019 elections. PM Modi asserted that it would be a "big mistake" to think that Pakistan will mend its ways after just "one war". Faisal said that Pakistan's desire for peace must not be misconstrued as its "weakness".